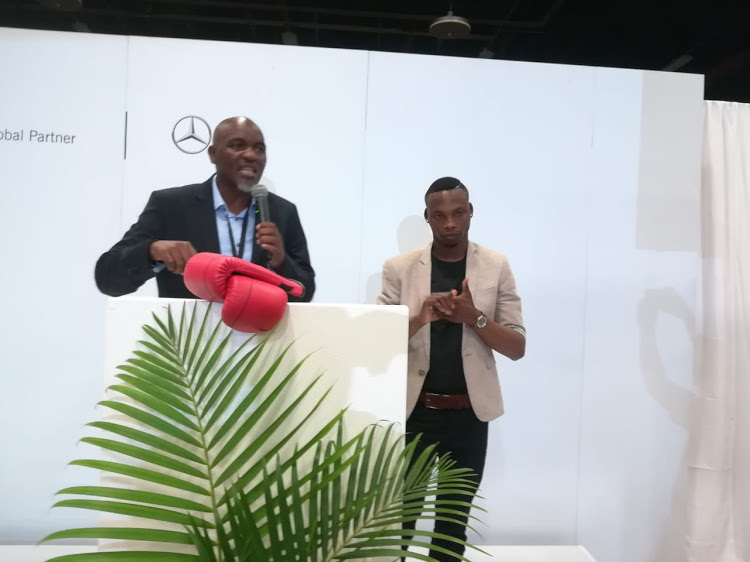 MERCEDES BENZ-South Africa (MBSA) and Laureus Sport for Good Foundation in East London, honours boxing world champ with state of the art Mercedes-Benz C43 AMG. Handed over the East London made Mercedes-Benz C43 AMG. Boxer Zolani Tete (back) was presented with this ‘monster’ brand at the breakfast ceremony in EL. Zolani Tete, who hails from Mdantsane- East London- the same area that produces the latest C43 AMG brand, has his work cut out and will now punch it on the road-stylishly. 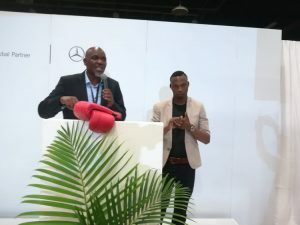 The event was held at the MBSA East London plant, and was attended by various sportsmen and women, including retired boxing champions Vuyani Bungu and Masibulele “Hawk” Makepula. Also in attendance were motoring enthusiast Clint Weston and cricketer Makhaya Ntini. Tete was accompanied by his family and manager Mla Tengimfene. He also expressed gratitude to Mercedes-Benz for the car sponsorship, which he said it’s a fulfilment of his dream. “It’s always been my dream to see myself driving such cars, but I never thought it will happen so soon, though some people are saying it’s long overdue,” said Tete. “I deem myself fortunate to be part of this event, through which we honour one of East London’s sons for his contribution to society and his impeccable character, which he has displayed through his craft as well as his conduct,” said Abey Kgotle, Executive Director of Human Resources and Corporate Affairs Mercedes-Benz South Africa. “Every time you sit behind the wheel of that C 43, we at Mercedes-Benz would like you to remember that it comes from the men and women hailing from all corners of your hometown, East London. These are the mothers and fathers, brothers and sisters, who tirelessly work to give life to metal. These are the people who are cheering you on, and are proud to call you a friend to their beloved brand,” says Kgotle. He said the car will boost his spirit as he prepares for his fight with Russian Mikhail Aloyan for the World Boxing Series on October 13. Mdantsane is also popular for having produced the titan of boxing and mentor Mzimasi Mnguni, who also produced the likes of Vuyani “The Beast” Bungu, Zolani Petelo‚ Welcome Ncita and Mbulelo Botile‚ among many others. The wheelchair-bound Mnguni – who has suffered several strokes and has become a pale shadow of the one-time giant – wrote his own name into the history books during a glittering career that produced numerous world champions.